When the Leeds-based Lilac Grove housing co-operative required bespoke software that would help them manage their community they turned to Camden-based software specialists Maldaba Ltd.
Two interfaces: a simple one for all residents to access directly, and a professional one for administrators. Dwell handles LILAC's finances, as well as maintenance and repairs, plus a document store. Lilac, which stands for Low Impact Living Affordable Community, was founded in 2013 and now features 20 homes built from natural materials including straw, lime and timber. It follows a pioneering economic model called the Mutual Home Ownership Society (MHOS) with members contributing 35% of their net salary which buys an equity stake in their home. Working with Maldaba proved to be the right decision for Lilac’s members as co-founder Paul Chatterton explained: “We required a unique software programme that would allow us to run the community efficiently and provide members with an easy interface and operability. We looked into it and there was nothing out there that came close to fulfilling our needs. “We put out a tender and three firms responded. Maldaba seemed a perfect fit with their ‘software development for humans’ slogan capturing our attention. From the start of our relationship they showed a genuine energy, enthusiasm and interest in the project that you do not expect from profit-making, commercial businesses. “Over the course of three workshops with Maldaba we sat down and designed the software to completion, dealing with any tweaks as they arose. It didn’t feel like work. It was a fun, creative process that we all got something out of. “Lilac’s unique pioneering approach to sustainable, affordable, community-focused living was mirrored by Maldaba’s thoroughly engaging and personable work ethic and the result is software that allows our small community to run itself more effectively,” added Paul. Lilac’s new technology platform utilises Dwell, a housing management software system developed by Maldaba in conjunction with Lilac and CDS Co-operatives. Maldaba co-founder and MD Lorenzo Gordon commented: “As a Mutual Home Ownership Society (MHOS), LILAC were looking for software to manage the specific financial model for their project. Dwell understands the MHOS financial model and has an extremely simple user interface that is now being used by all members of the co-operative. “Dwell manages share distribution, lets members track payments and also monitor their MHOS debt decrease over time. For administrators, Dwell enables simplified financial projections and ‘what if’ scenario testing as well as giving administrators the ability to produce annual statements for all members. “It has been built with other groups in mind and fits other financial models as well as MHOS. “We wanted to ensure the software covered everything necessary to manage housing and tenants and it includes a maintenance system that allows tenants to report and track repairs as well as a document store for important society information. “Because the system is web-based, the technical overhead for LILAC is minimal, and the simple interface makes it possible for all members, including those less comfortable with computers, to engage with. 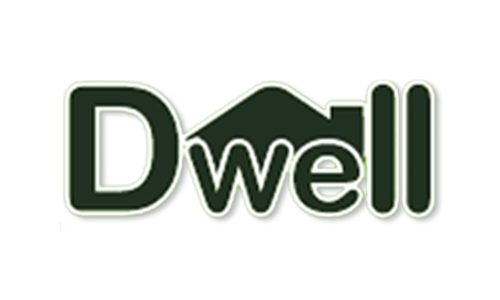 “We are now talking to other housing associations and co-operatives about how Dwell can help them,” added Lorenzo. Get in touch with us to find out for yourself how we can help you and your organisation innovate new solutions.